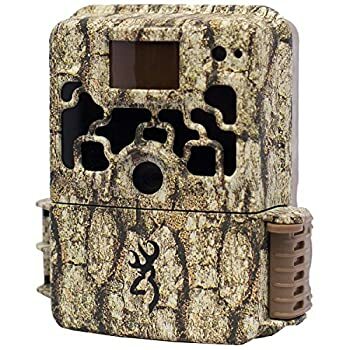 If you are looking for only the best in gaming cameras, look no further than the Browning Strike Force Sub Micro 10MP Game Camera. 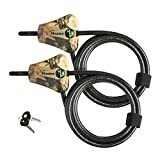 With a variety of options, you will be the envy of all of your hunting friends and will be seeing exactly what is happening in your hunting plot when you’re not around. This particular camera allows you to see exactly what you can’t while you are away. This allows you to get a leg up on the hunting competition and get ahead of the wild game you may be searching for. This particular model comes in camouflage so that it can be easily hidden on the ground or in a tree without being noticed by the animals or other people. These are one of the best we've tested so far for Browning Trail Camera. It is the smallest high performance trail camera on the market. With enhanced 10MP picture quality and a video processor that creates high resolution video clips you can be sure you are getting the best quality product for your money. It also features “Zero Blur” technology which completely eliminates blur from motion that it is detecting. The Browning Strike Force Sub Micro 10MP Game Camera boasts excellent daytime and nighttime picture quality. With amazing picture quality will can be sure you are seeing only what you want to see. It has lightening fast trigger speed and a burst mode and time adjustability so that you are capturing everything that comes within 50 feet of the camera. Even in dense woods, this camera will does an excellent job. You are able to clearly make out deer and other animals because of its superior, high quality photo and videos. You won’t have to worry about running out of battery life as an indicator makes it easy to determine how much battery you have left. There is also an SD port to ensure that you always have enough room on the camera to fit more pictures. If you find that the unit is full you can simply hook it up to your computer via a USB cable, which is not included. You also have the option to hook this unit up directly to your TV to see the amazing pictures and videos that it has captured. ​The latch has a tendency to break easily so use caution when securing it so that this doesn’t happen. With a 1 year warrant that comes with the camera if this does happen the company will happily replace it. ​Having 2 SD cards for the camera that boast a high GB rating is essential when using this camera so that you never run out of room when scouting those important areas you want to hunt in.Always be sure to place your camera in the appropriate place off the ground. Never put it too high or too low as you may find that the picture quality is lacking if not properly placed.Find something to always keep the camera securely in place. Animals and people may find this camera. To avoid it being stolen or knocked down it is recommended that you find some sort of way to keep it locked in place. If you are looking for a high quality hunting camera look no further than the Browning Strike Force Sub Micro 10MP Game Camera. With all the features you could want in a gaming camera you are sure to be pleased with its superior quality photos and videos.